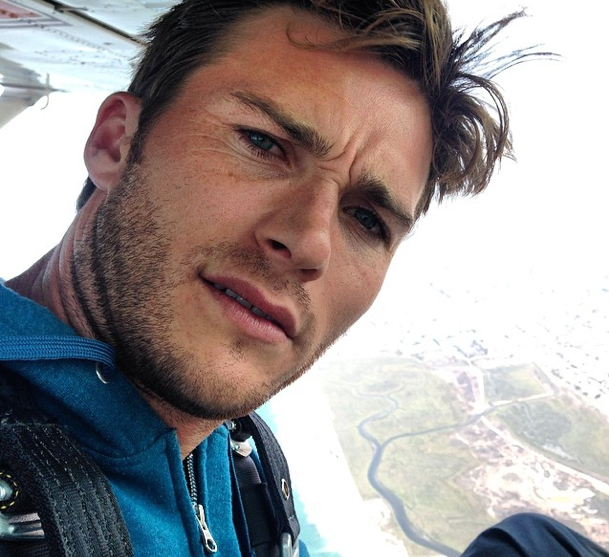 Next in the series, following soccer player Graham Zusi and Spanish firefighter/model Leo Rico, is actor, model and all-around American golden child Scott Eastwood. Take a guess at who his dad is. I'll give you a minute. Model for Hugo Boss. Image from instagram. Who needs a stud finder? Image from instagram. 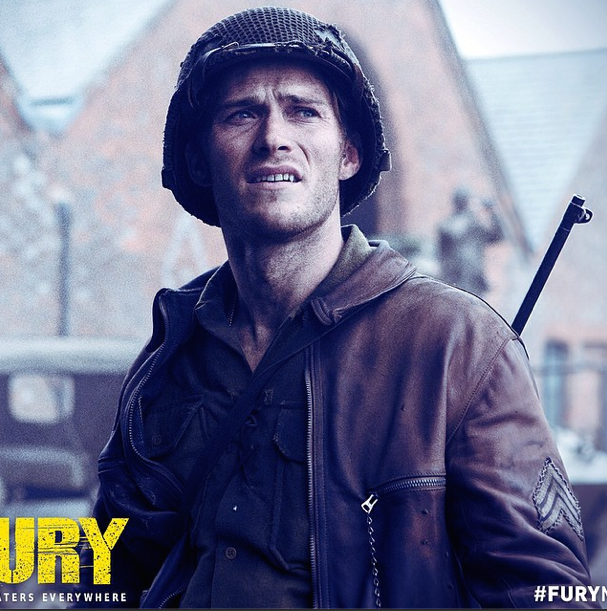 In addition to his modeling work, you can catch Scott co-starring with Brad Pitt in the recent movie Fury. He's also been cast as the lead in the upcoming bullrider movie The Longest Ride, based on Nicholas Sparks' book of the same name. Swaggering cannon fodder in Fury. Image from instagram. 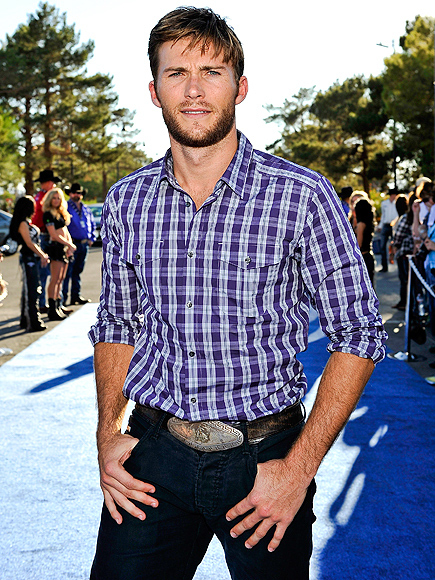 On set for The Longest Ride. Image from instagram. 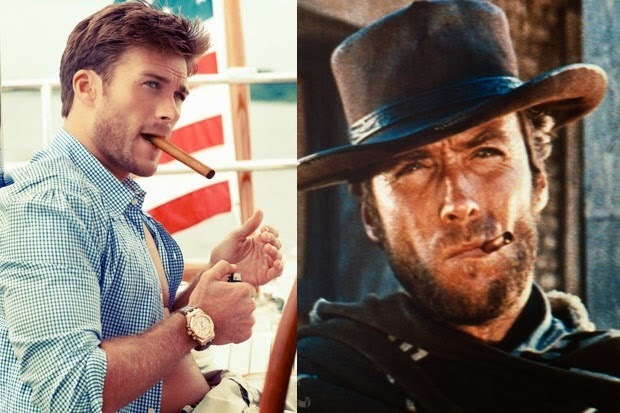 So my girl friend and I were in Las Vegas this past weekend for Round 4 of PBR World Finals and were quite surprised to see young Mr. Eastwood promoting his movie to the cheering crowd. While he was being interviewed on the Jumbotron, his ears turned red. It was adorable. Later on, he assisted riders in the chutes. Very mansome. 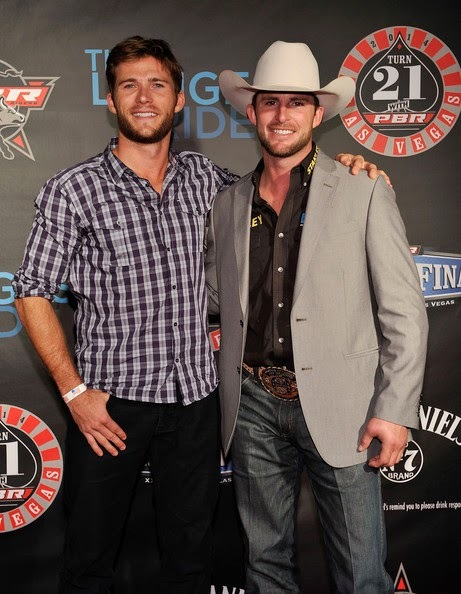 Scott Eastwood and professional bull rider Douglas Duncan. Image from zimbio.com. 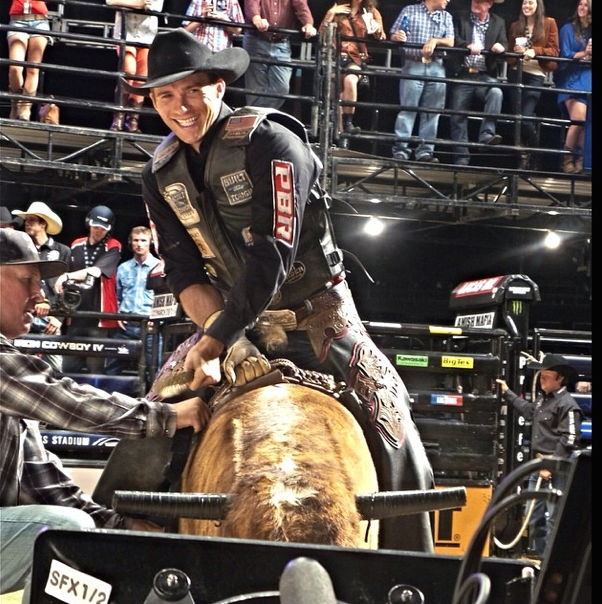 PBR World Finals, Las Vegas. Image from People. 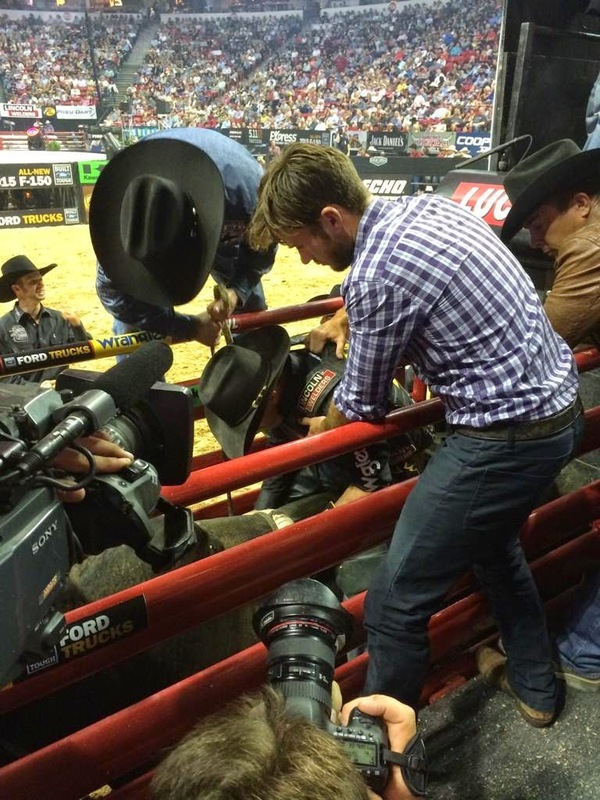 Assisting PBR riders. Image from twitter. Scott is 29 and ripe for objectification. I believe he's single. Whatever the case, he sure is hot, in that Steff-from-Pretty-in-Pink kind of way. Cruel-hot. Is there a word for that?